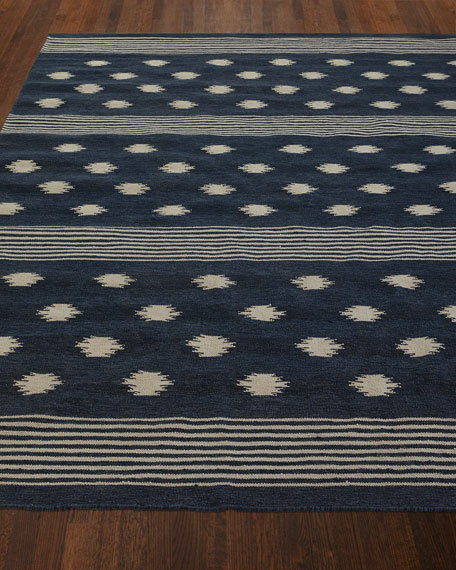 Rug features a blend of naive folkloric symbolism and timeless stripes. Handwoven of fade-resistant, easy-care polyester. Crafted in the texture of Dhurrie flatweave carpets.